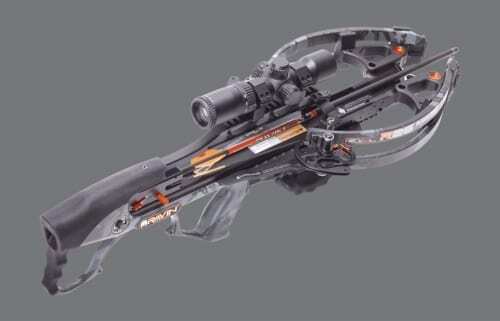 The new R26 is Ravins most compact and lightweight crossbow to date. Weighing in at only 6.5 pounds, the Ravin R26 generates speeds of 400 FPS from a 9.5-inch power stroke and measures just 26 inches in length. Ravins R26 axle-to-axle width is an amazing 5.75 inches when fully-drawn  making the Ravin R26 the most compact crossbow on the market. The new R26 will be available in the new Predator Dusk Camo, exclusive to Ravin Crossbows.